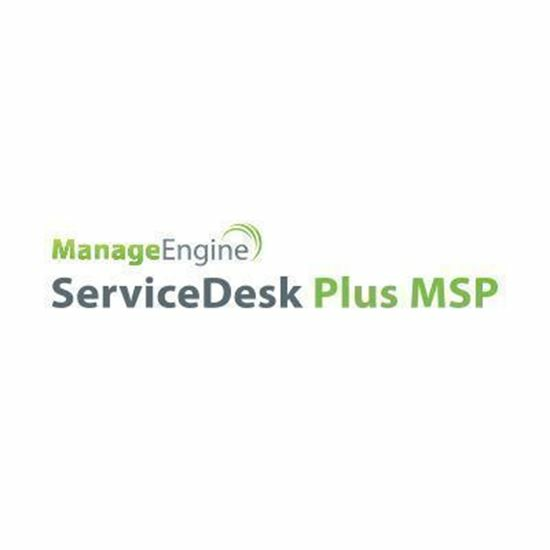 ManageEngine ServiceDesk Plus - MSP is an integrated Help Desk tool with Asset Management, which will help the Managed Service Providers to service and support their customers in a better way. ServiceDesk Plus MSP is a perfectly integrated solution that combines IT Help Desk with Project Management and allows you to structure your projects, teams and workflows irrespective of the size of the projects! It's no secret that an easy to use and a solid configuration management database is a must to track and manage the entire IT assets through their lifecycle. Which is why many enterprises are now increasingly implementing a CMDB. Billing feature in ServiceDesk Plus - MSP lets you to enable the managed services business model through accurate billing for multiple accounts, so you no longer need to juggle with multiple tools and manually track and bill for services rendered. Deploy agents on your assets and have them scan asset information. Agents can scan for changes in assets at periodic intervals and push changes to ServiceDesk Plus ’ MSP. Agents also allow you to make remote desktop connections instantly. Reduce the burden on your helpdesk coordinator and assign incoming tickets automatically. The auto-assign functionality automatically assigns tickets to technicians based on their availability and access to tickets. Showcase the IT services offered to users from your different accounts. Service Catalog improves the operational efficiency of your helpdesk technicians by managing the service delivery process from approval to fulfilment. Manage and control each of your clients’ IT and Non-IT assets remotely and transparently with the Asset Management Module specifically designed for Managed Service Providers. An Incident is any event which causes, or may cause, an interruption or a reduction of the quality of the service offered.The objective of Incident Management is to restore normal operations as quickly as possible with the least possible impact on either the business or the user.